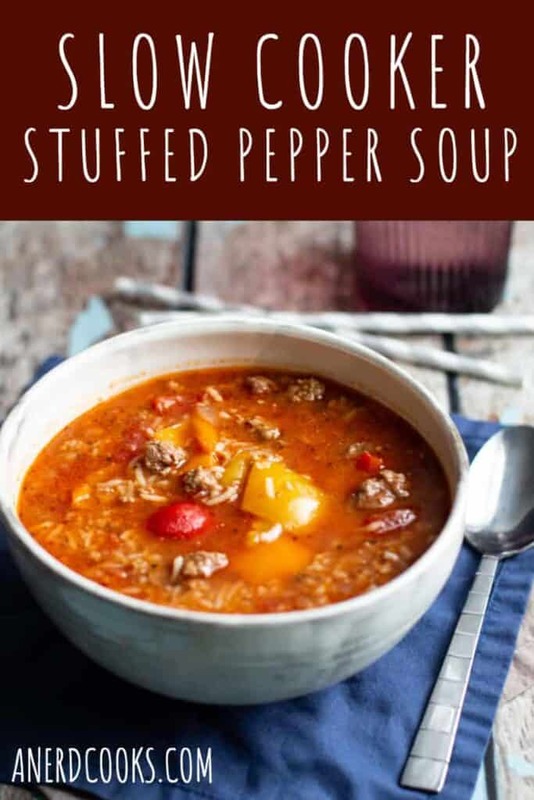 This Slow Cooker Stuffed Pepper soup has all of the flavors of (you guessed it) a stuffed pepper. 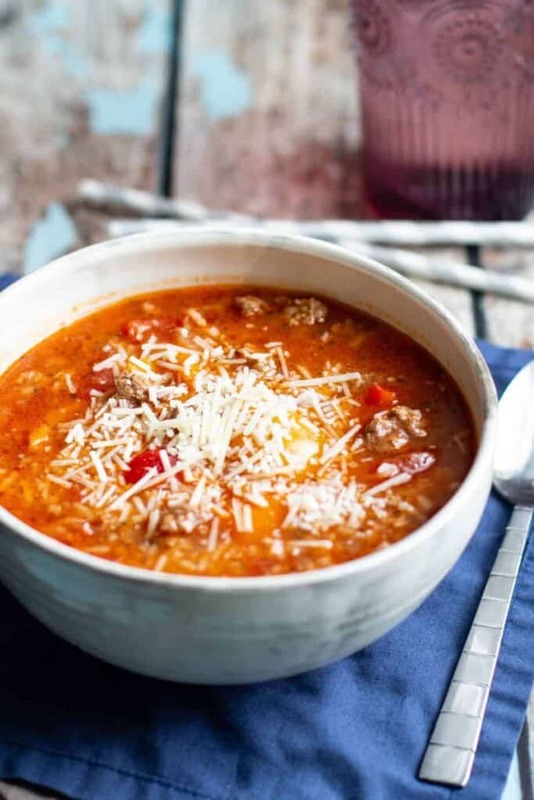 Because it cooks in the slow cooker, this soup is super easy to make. It also manages to be hearty and filling without weighing you down too much. I recently went back to PA to go deer hunting with my dad. My mom was kind enough to have a slow cooker full of a version of this soup waiting for us when we got back to the house. It was exactly what we needed after sitting outside in the cold for most of the day. 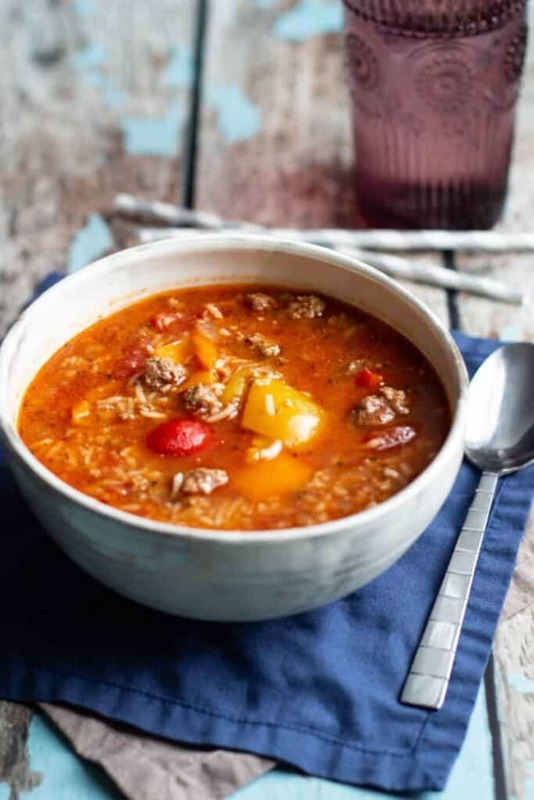 After returning home, I couldn’t wait to put my spin on this Slow Cooker Stuffed Pepper Soup. I opted to make it with half Italian sausage-half ground beef and to add Italian seasoning to amp up the flavor a bit. I’m a pretty firm believer that soup is a perfect food and should be eaten year round. However, we’re coming off of a snowstorm here in Durham, so the timing for making this really couldn’t have been better. 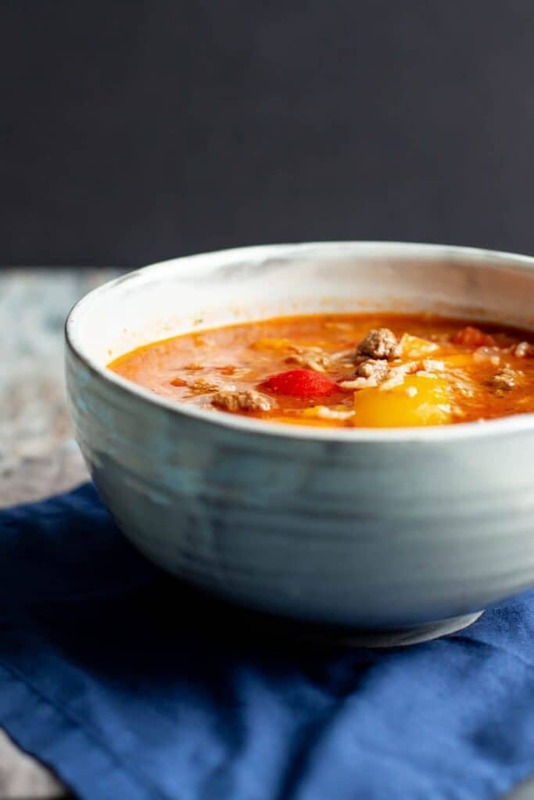 Need other warming soupy recipes? Check out my Italian Wedding Soup and Chicken Tikka Masala Soup. 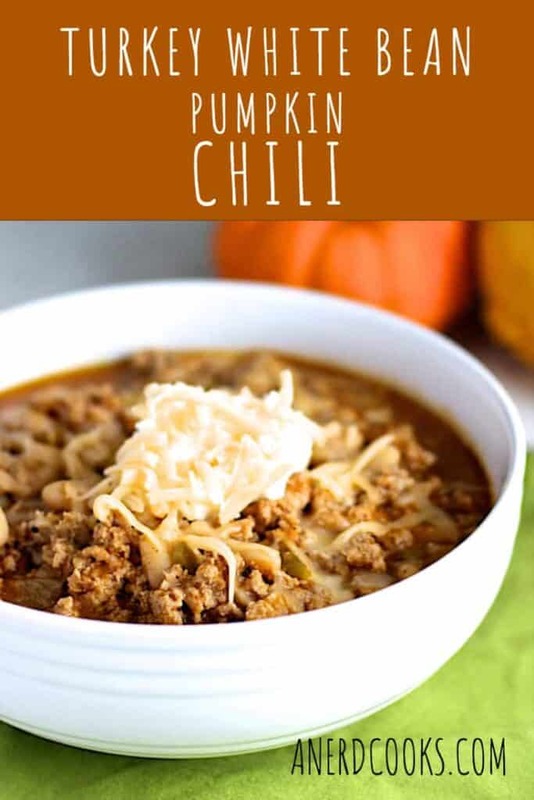 Maybe chili is more your thing? 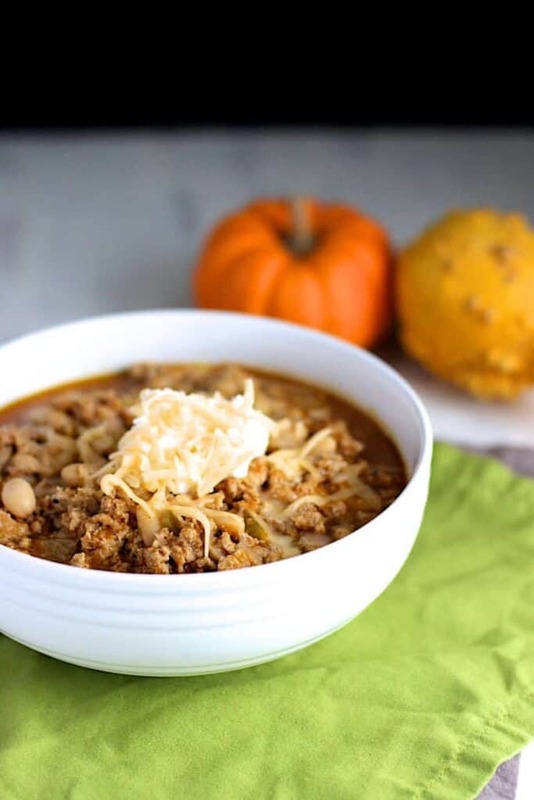 Try Pressure Cooker Green Chicken Chili, Turkey White Bean Pumpkin Chili, and Slow Cooker Turkey Chili. I also want to be sure to mention that the bowl in this photo was made by Matt Hallyburton of Hallyburton Pottery. Do yourself a favor and go check out (and buy!) his beautiful work. In a heavy-bottomed skillet, heat the olive oil over medium. Sauté the onions and garlic until the onions are translucent. Add the ground beef and sausage to the skillet. Cook until browned, crumbling as it cooks. 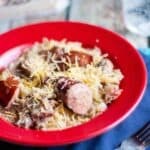 Add the onions, garlic, ground beef, and sausage to a 6 quart slow cooker. Add the bell peppers, diced tomatoes, tomato sauce, beef broth, brown sugar, Italian seasoning, kosher salt, and pepper to the slow cooker. Stir to combine. 30 minutes prior to when you'd like to eat, add the white rice to the slow cooker. Ladle the soup into bowls and top with shredded parmesan cheese. Notes: I like to cut the bell peppers into big chunks so that they don't disintegrate into the soup while they cook. Use whatever color bell peppers that you'd like. 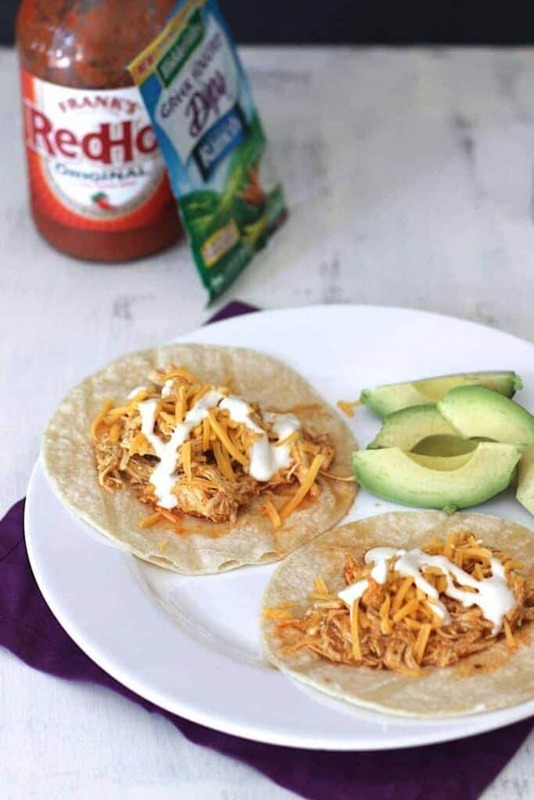 This Slow Cooker Taco Chicken is super easy and delicious. 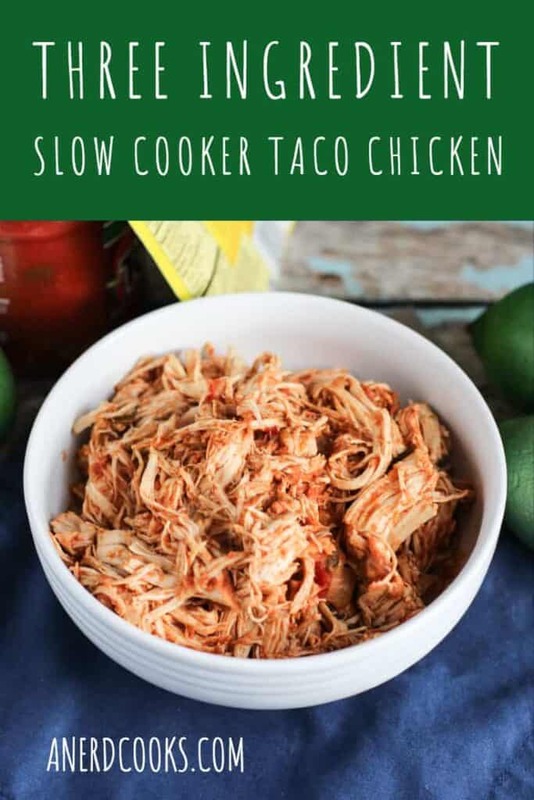 Just throw three ingredients into the slow cooker and walk away. 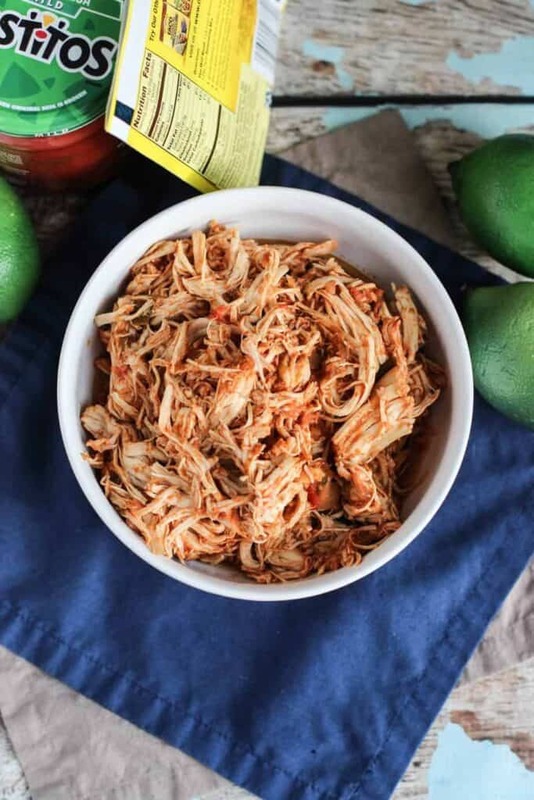 Shred the chicken and enjoy it in a variety of ways! This is another one of those dishes that I’ve made countless times, but have never taken the time to photograph. Usually we just dig in to dinner, and by the time I remember to take a picture, the natural light isn’t very good anymore or the sun has set completely. We make this taco chicken at least once a month. It’s versatile (use it in tacos, burritos, etc. ), requires almost no effort to prepare, and makes a lot of food. As a result, we get to enjoy leftovers at least once during the week. For me, this just adds to this chicken’s appeal. Place all ingredients in a 4 quart slow cooker. Cook on high for 4 hours or on low for 6 hours. Using two forks, shred the chicken. Note: I usually use mild salsa, but feel free to go as spicy or as mild as you like. 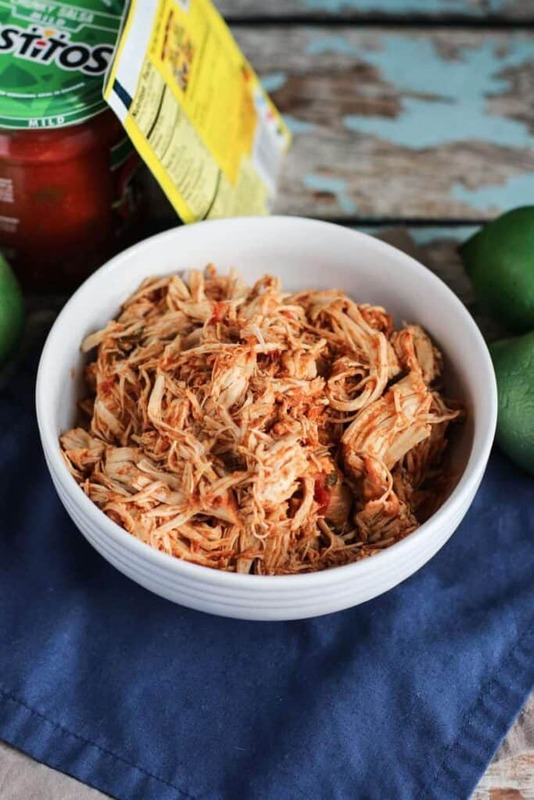 Just like the Pressure Cooker Carnitas that I shared last week, this shredded chicken is pretty versatile. Eat it in tacos, quesadillas, burritos, or alongside/atop some Cilantro Lime Rice. Do you! Do what feels right. 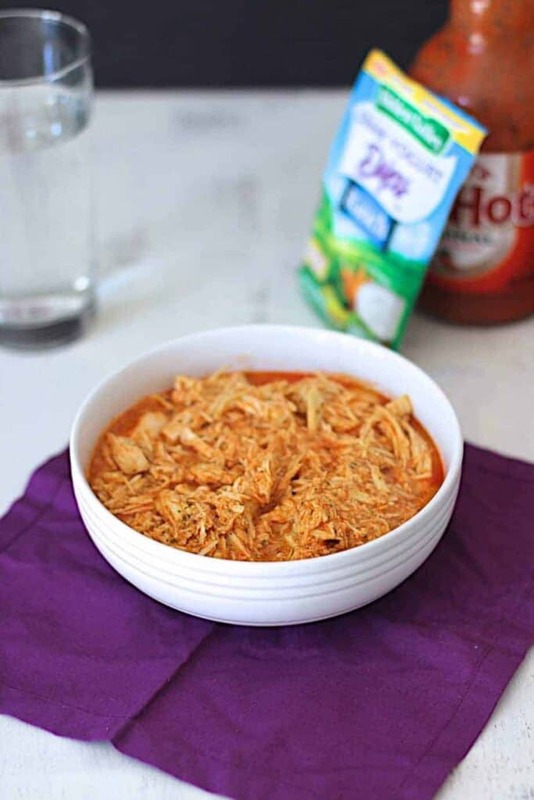 If you’re looking for something a little spicier, but just as easy to throw together, take a look at this Slow Cooker Buffalo Chicken. Super easy to make, and can also be used in a number of ways. 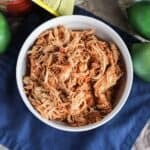 These Pressure Cooker Carnitas are the easiest, most delicious carnitas you will ever make. 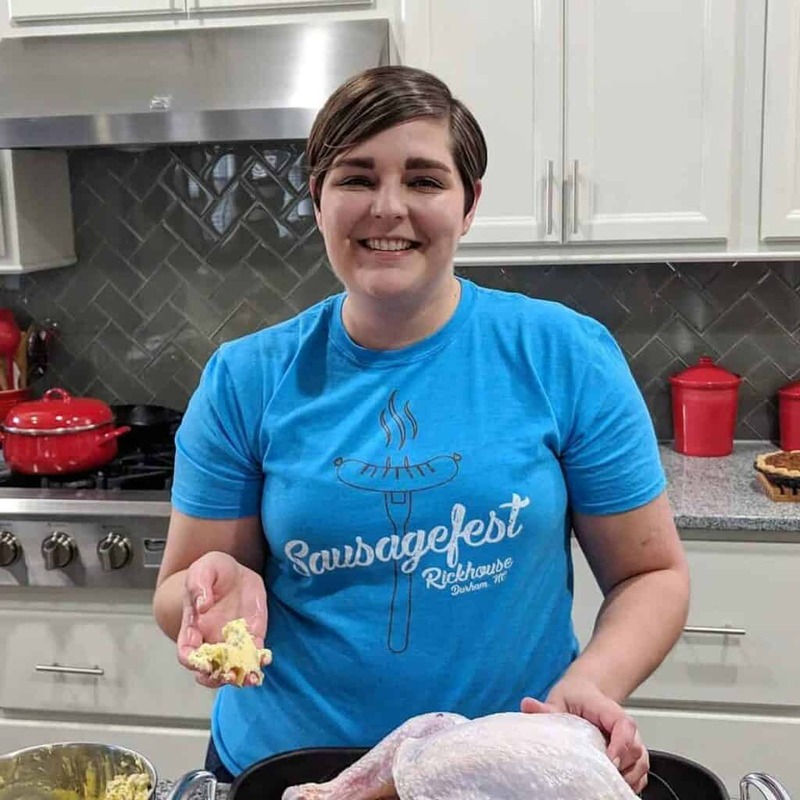 Depending on how much time you have on your hands, I’ve included instructions for how to make them in either the electric pressure cooker OR slow cooker. 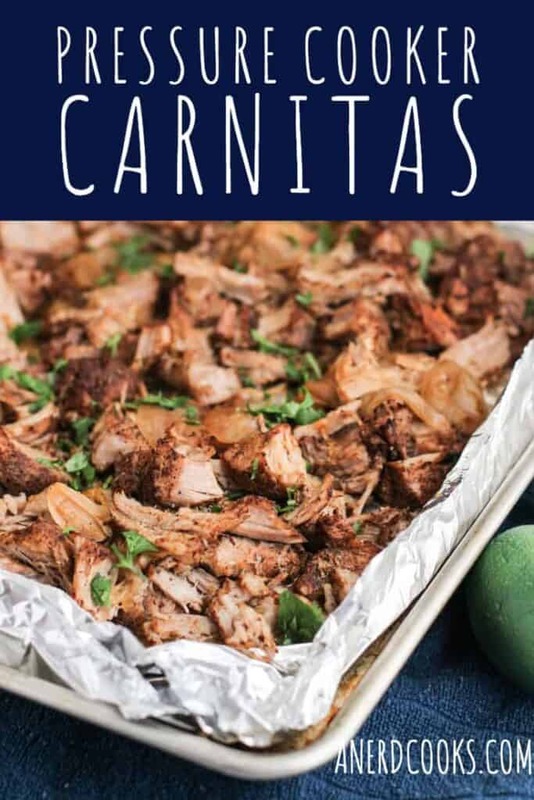 I have made these carnitas embarrassingly often since first discovering the recipe 3 years ago. 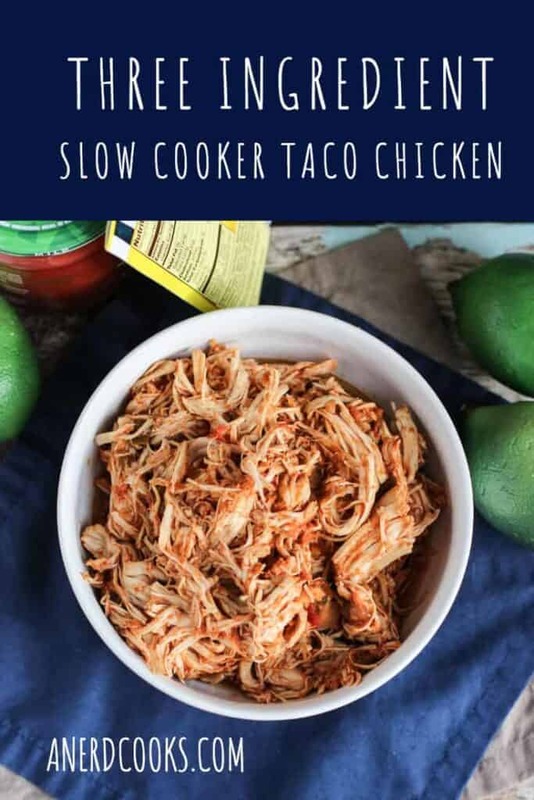 The original recipe is for the slow cooker, which is great if you have all day, or have the presence of mind to throw everything together before you leave for work. For me, this is not always the case. After receiving an electric pressure cooker for Christmas, I decided to adapt the recipe. That way, I’m able to have carnitas in a fraction of the time. Our favorite way to eat these carnitas is Chipotle burrito bowl-style. 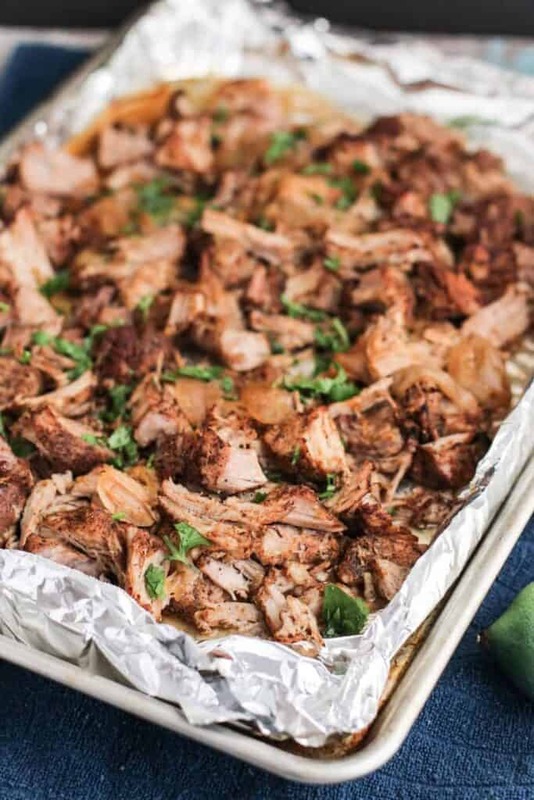 Toss some of this crispy yet tender pork in a bowl with some Cilantro Lime Rice and a variety of taco/bowl toppings (beans, cheese, guacamole, etc. ), and you’re in business. They’re also excellent in a taco (corn tortillas, please). The slow cooker preparation comes from Damn Delicious. Combine all of the spices in a small bowl. Set aside. Cut the pork shoulder into 2- to 3-inch chunks. Add the garlic cloves, quartered onions, and cubed pork to the electric pressure cooker insert. Sprinkle the spice mixture over everything. Using your hands, toss the garlic, onions, and pork around in the spices, rubbing the spices into the meat. Add the orange and lime juice to the pressure cooker. Place the lid on and lock it. Cook for 25 minutes on high pressure. Depending on your preference, you can allow the pressure to release naturally or do a quick release. Add the garlic cloves, quartered onions, and pork to the slow cooker. Sprinkle the spice mixture over everything. Using your hands, toss the garlic, onions, and pork around in the spices, rubbing the spices into the meat. Add the orange and lime juice to the slow cooker. Put the lid on and cook on low for 8 hours or on high for 4-5 hours. Now that the pork shoulder is cooked through, you'll want to crisp things up a bit. Preheat the broiler to high. 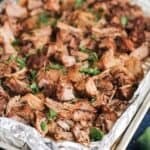 Remove the pork from to a baking sheet lined with foil, and shred the meat. Spoon some of the juices and onions that are left over onto the shredded meat. Broil for 2-3 minutes. Remove the sheet pan from the oven and toss the meat around a bit with tongs. Pour some more of the juices over the meat and broil for 2-3 additional minutes. Remove from the oven, top with chopped cilantro, and serve immediately. 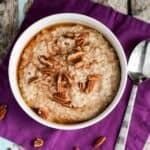 This Slow Cooker Oatmeal (made with steel cut oats) is a healthy, filling, make-ahead breakfast for the entire week! I have good intentions. I really do. Like, every weekday I intend to get up early enough to make myself a healthy breakfast before running out the door. Does this always happen? Definitely not. Meal prepping really helps with this issue. I make a big batch of something on Sunday afternoons (like these Make-Ahead Omelet Muffins), portion it out, and then all I have to do is grab something from the fridge on my way out the door. 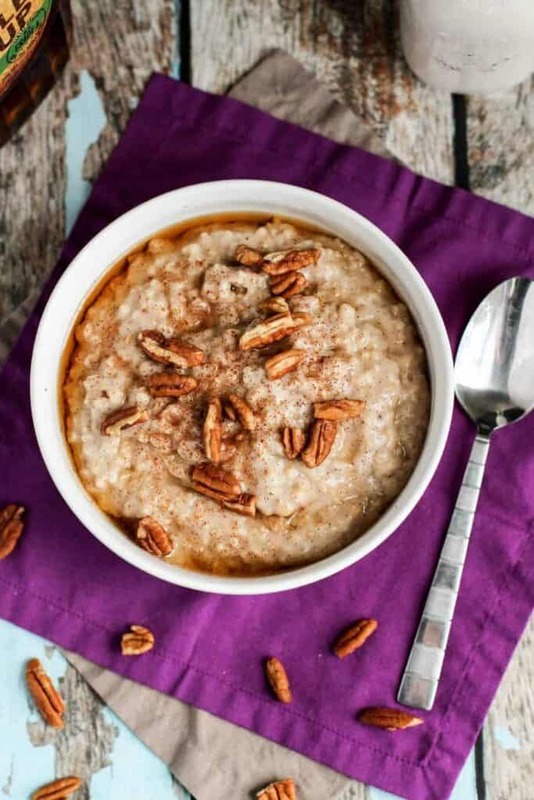 This winter, slow cooker oatmeal has been my go-to. Mix some ingredients up in the slow cooker, set it, and forget it. And you can change up the flavors however you see fit, which helps to prevent breakfast boredom. Plus, it’s healthy. Win-win-win. Just heat the oatmeal up in the microwave and you’re off and running. Before making this for the first time, I had concerns about how the consistency of the oatmeal would hold up over the course of a work week. No need to worry, though! 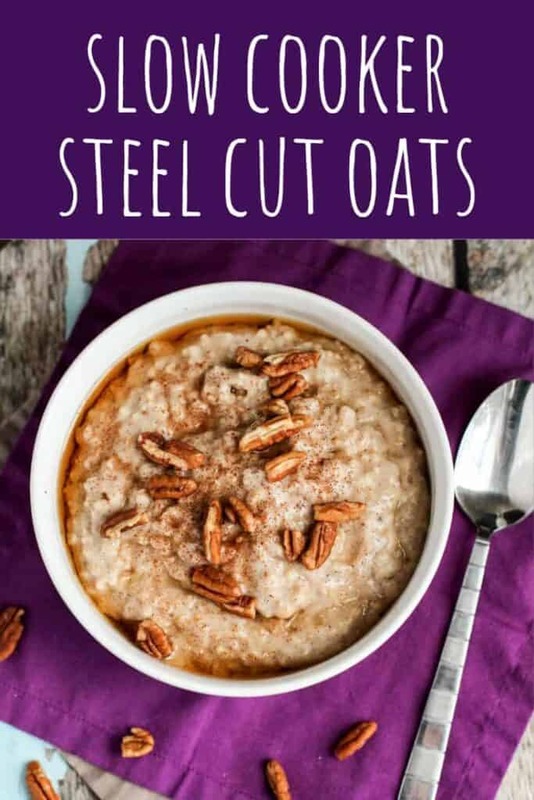 Because the steel cut oats retain their slightly chewy texture, rather than just turning to mush. 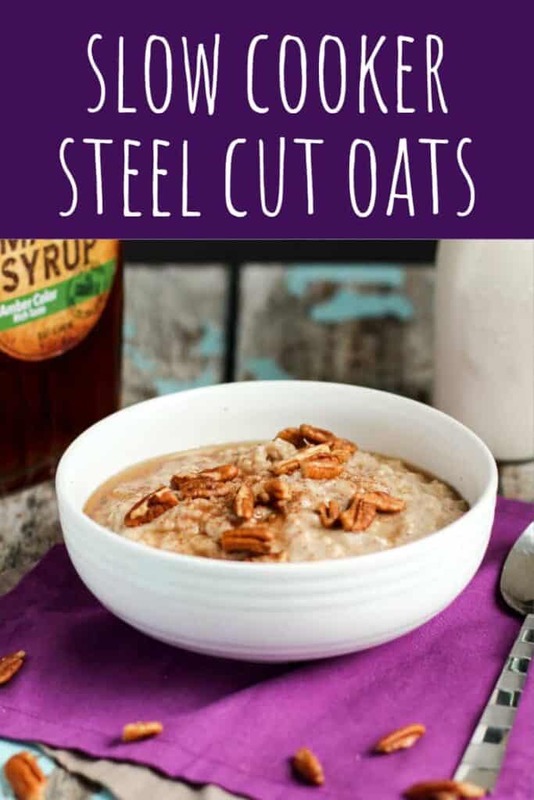 Place the steel cut oats, salt, and milk/water in a greased (either butter or cooking spray) slow cooker and whisk to combine. Cook for 2-3 hours on high or 4-6 hours on low. Stir everything around once or twice during the cooking process. If you'd like to dress this oatmeal up a bit, feel free to add spices and/or sweeteners of your choice along with all of the other ingredients. I generally don't add any of the suggested toppings until I'm ready to eat. Notes: Cow's milk, almond milk, water, and a combination of any of those 3 work well. Other non-dairy milks—such as coconut—may also work, though I haven't tried using them. 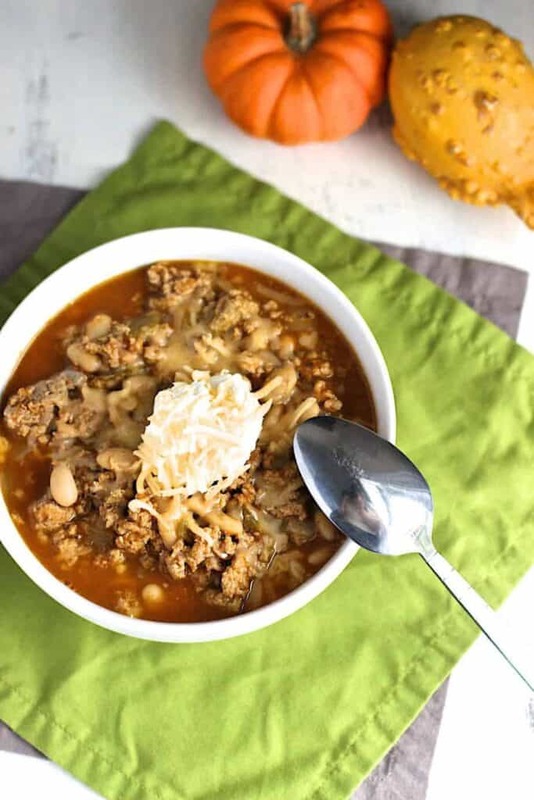 This Turkey White Bean Pumpkin Chili is delicious, filling, and healthy. It’s great year-round, but the pumpkin makes it perfect for Fall! 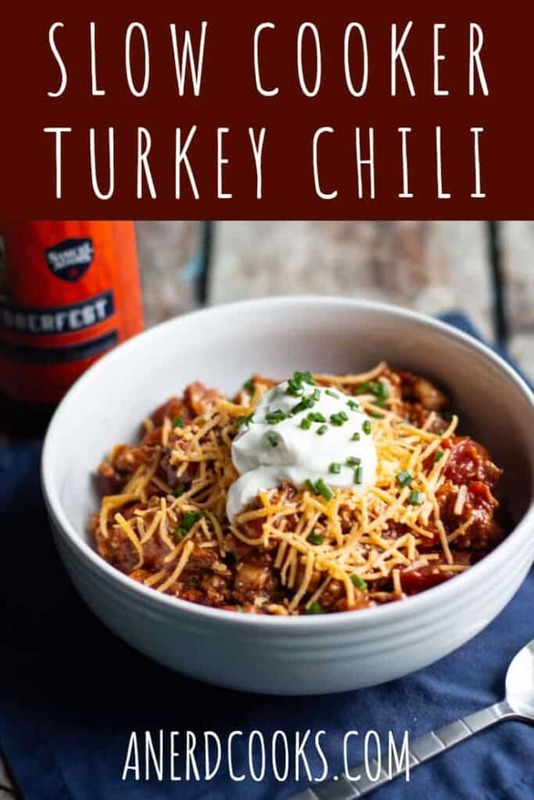 I originally blogged about this chili, following a recommendation from my mom that I make it, about 3 years ago. I’ve been making it on the regular ever since. Even Sean, who tires easily of pumpkin, loves it. Like many of my older posts, this one was in dire need of an update. 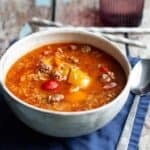 Need more chili recipes? 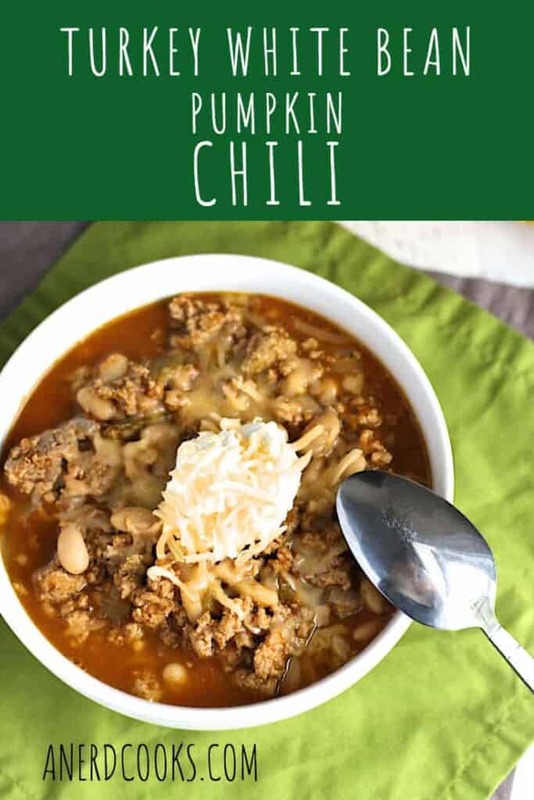 How about Pressure Cooker Green Chicken Chili or another version of Turkey Chili for the Crock Pot? The recipe was originally published by Skinnytaste. Spray a large skillet with cooking spray. Cook the ground turkey over medium heat until browned and cooked through, crumbling it as it cooks. Once cooked through, add the turkey to the slow cooker. Add olive oil to the skillet and sauté the onions and garlic, until the onions start to soften. Add the cumin and cook for a minute more. Add this to the slow cooker. Add the chili powder, oregano, white beans, pumpkin, and broth to the slow cooker. Stir to combine. Place the bay leaves on top. Put the cover on the slow cooker and cook on low for 8 hours or on high for 4 hours. Once finished cooking, remove the bay leaves and taste. Adjust the seasonings if necessary. 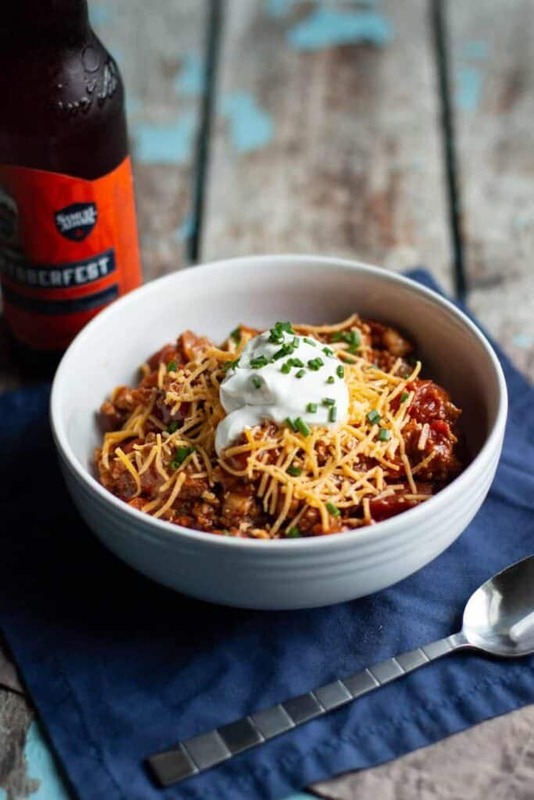 Ladle the chili into bowls and top with your desired toppings. 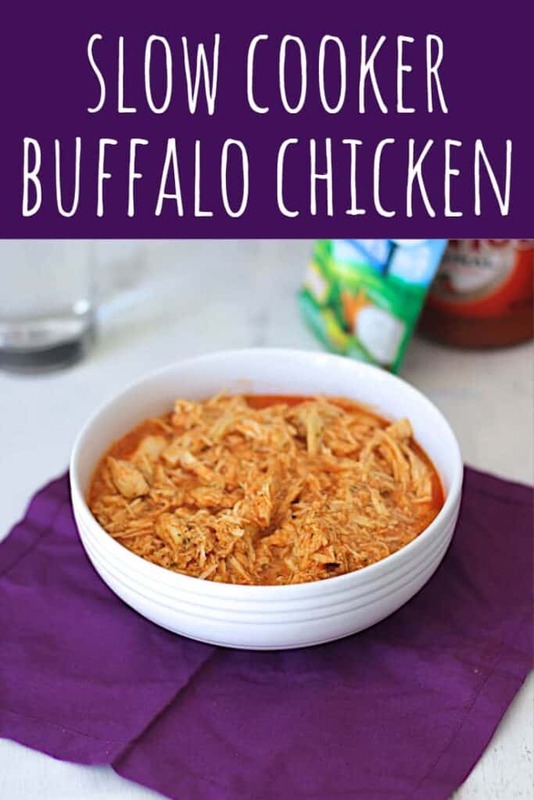 This Slow Cooker Buffalo Chicken is one of those recipes that I make again and again, never tiring of it. Sean loves it, too. And for good reason: It’s spicy and delicious! 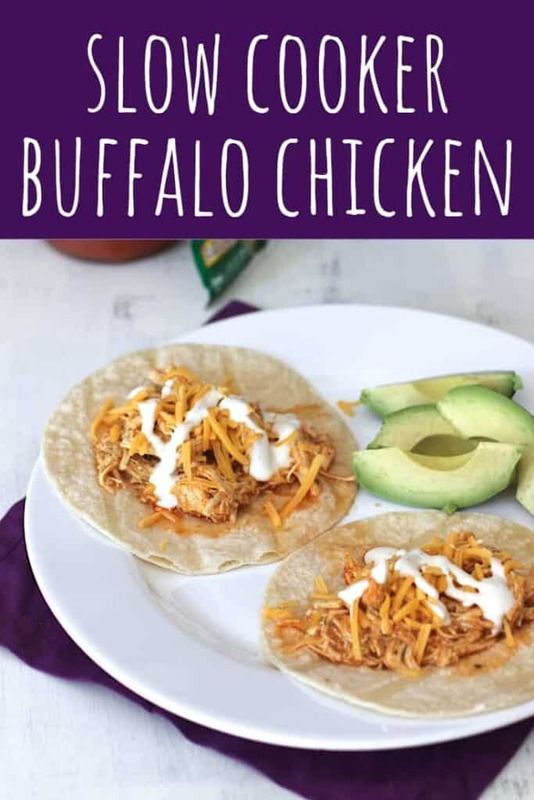 This buffalo chicken is also super versatile. We typically eat it in taco form, although we’ve also been known to put it on top of a baked potato. Top either the taco or baked potato with some sharp cheddar cheese and a drizzle of Ranch dressing and you’re in business. Don’t rule out a little avocado, either. Not that you needed yet another reason to make this… but I’m going to give you another one. It’s incredibly easy to make! Just toss a few chicken breasts into a slow cooker, add some sauce, and walk away! Once they have cooked, you just need to shred the chicken. It couldn’t be easier. Note: Text from this post was updated on 4/4/2018. 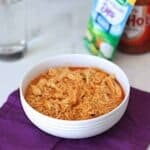 If you’re looking for more buffalo chicken deliciousness, make sure to pop on over to check out my Buffalo Chicken Dip! Place the chicken breasts in a 4 quart slow cooker. Salt and pepper the chicken. In a medium bowl, combine the hot sauce, mustard, and Ranch seasoning. Pour it over the chicken. Set the slow cooker to high, and cook for 4 hours. After 4 hours, remove the chicken to a plate and shred it. Add the butter to the crock pot and stir so that it melts into the sauce. Add the chicken to the crock pot again and stir to coat with the sauce. 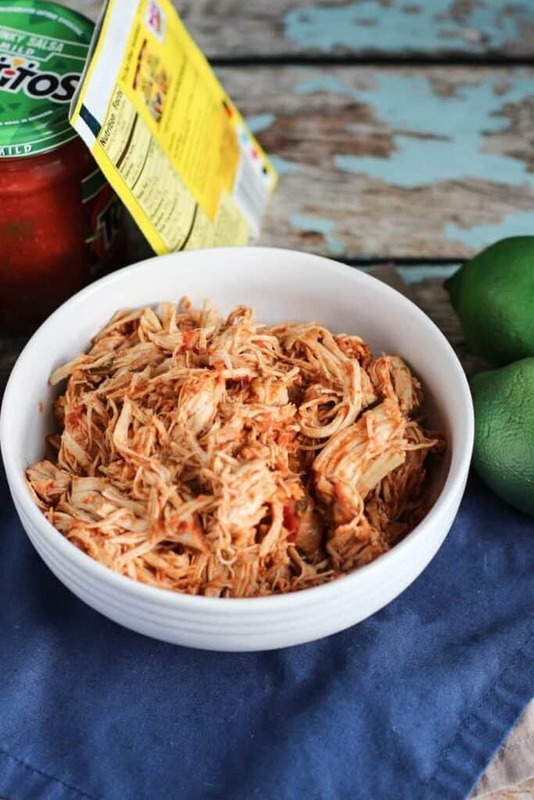 Serve immediately or let the shredded chicken hang out in the crock pot on low for another hour. 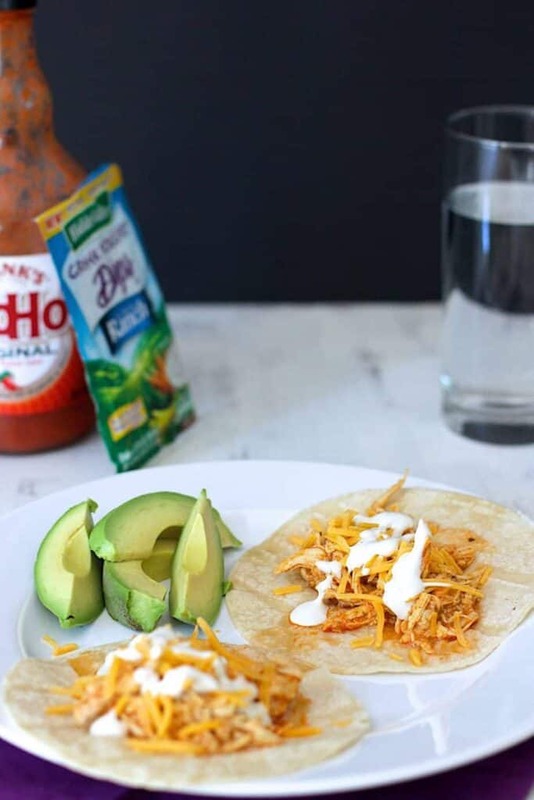 Note: We like to eat our Buffalo Chicken taco-style. But you do you. Eat it however feels right. It's great on a baked potato, or on its own as well. However you choose to eat it, let me recommend a little drizzle of Ranch dressing to temper the heat. This Slow Cooker Chickpea Curry (with sweet potatoes!) is delicious, largely hands-off, and can cook all day while you’re at work! So, as you may have figured out… Indian food and curry-based dishes are sort of my jam. Thus far, I’ve made Chicken Tikka Masala, Chicken Curry, Easy Chickpea Curry, and, most recently, Curried Egg Salad. Though delicious, those dishes (with the exception of the egg salad) can be a little time and labor intensive. They’re great for dinner on a weekend, but maybe aren’t what I’d opt for after a long day at work. However! Making a curry in the crock pot allows me (and you!) to enjoy all of that deliciousness, while putting in a fraction of the effort and hands-on cooking/prep time. This recipe comes from the blog A Spicy Perspective, and has been modified just slightly. Heat a skillet over medium heat. Add the oil, onion, garlic, and ginger. Sauté for 3-5 minutes, or until the onions are soft. Place the onions, garlic, and ginger in a blender. Add the can of coconut milk, curry powder, turmeric, cumin, and honey. Blend until completely smooth. Pour the sauce into a 4-quart slow cooker. Add the chickpeas and sweet potatoes and stir to coat everything. Cook on low for 6-8 hours or high for 4-5 (or until the sweet potatoes are fork tender). During the last 30 minutes of cooking, add the 1/4 cup of heavy cream and stir. The cream is not necessary here, but adds a rich luxuriousness to the curry. Add salt and pepper to taste. 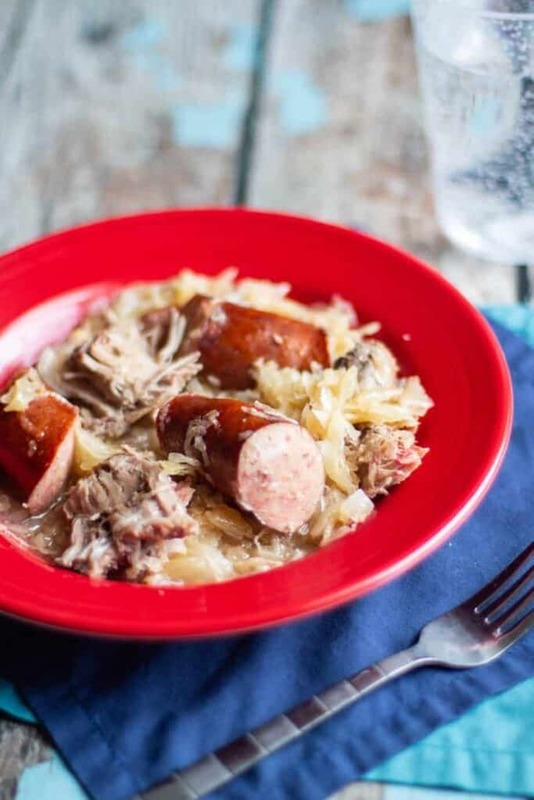 This Slow Cooker Kielbasa, Pork, and Sauerkraut is a delicious way to ring in the New Year. Better yet, it requires little effort to make. Just set it and forget it! I am not entirely sure of this recipe’s origins. I got it from my mom, who makes it every New Year’s Day. I do the same now, but also make it at other times of the year. This recipe makes a lot of food, and so would be great when you need to feed a crowd. It freezes well, too! So don’t feel obligated to only eat it when you have an army to feed. 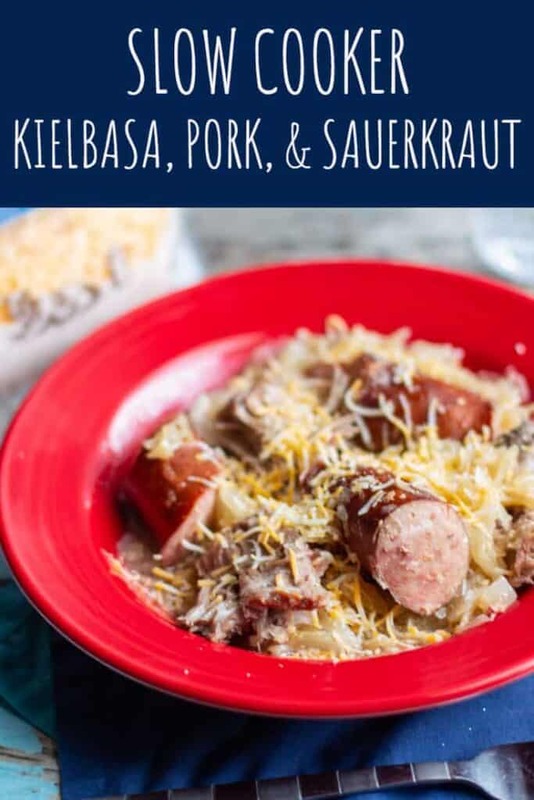 Combine the onion, brown sugar, sauerkraut, caraway seeds, and cream of celery soup in a large slow cooker. 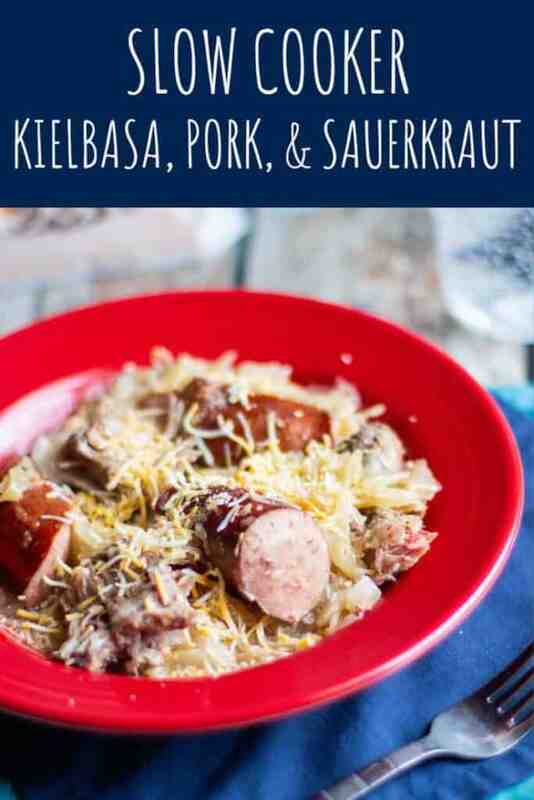 Add the kielbasa and pork to the slow cooker, nestling it into the sauerkraut mixture. Right before serving, add the colby jack cheese and stir to combine. 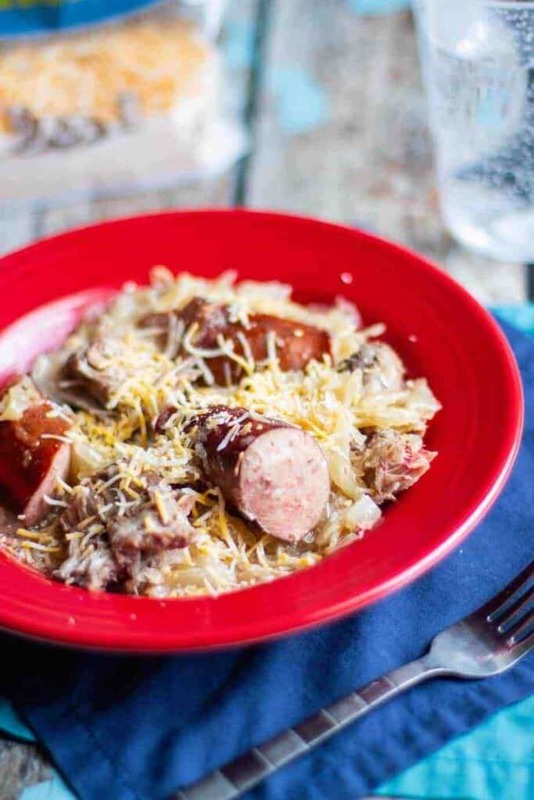 Looking for more recipes to make in the slow cooker? 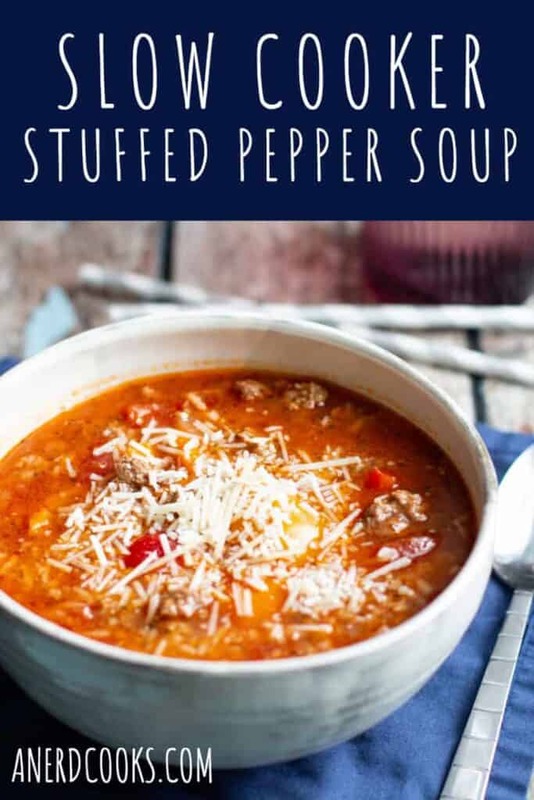 How about this Stuffed Pepper Soup or Three Ingredient Taco Chicken? 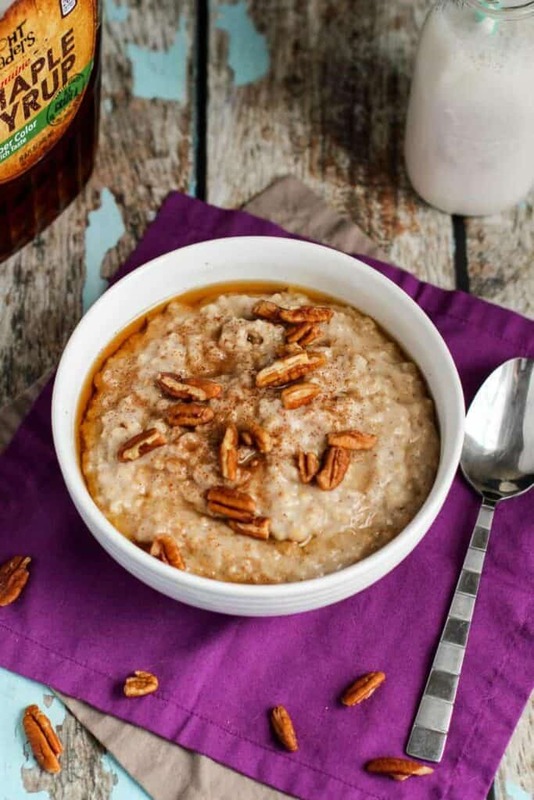 If you need breakfast, these Slow Cooker Steel Cut Oats are great and very versatile. 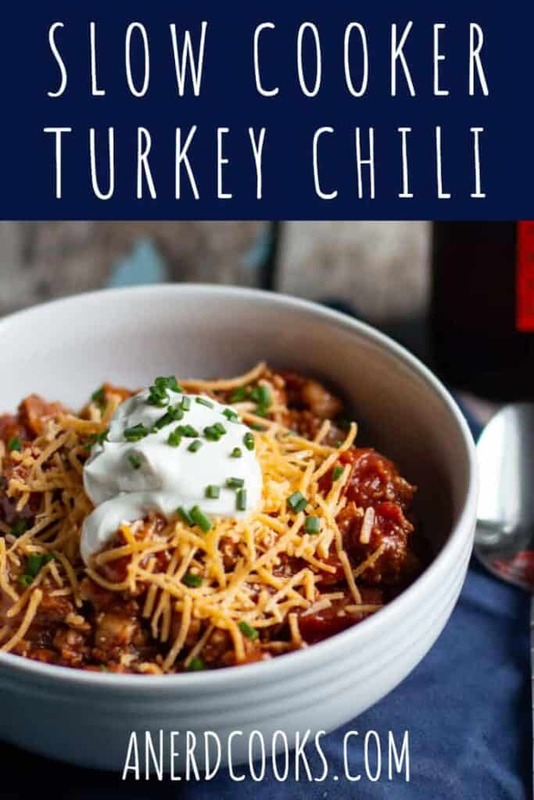 This Slow Cooker Turkey Chili is a great recipe for either a lazy or busy day. Just throw the ingredients in your slow cooker and forget about it until it’s time to eat. We’ve had several very rainy and windy days, thanks to Hurricane Florence. 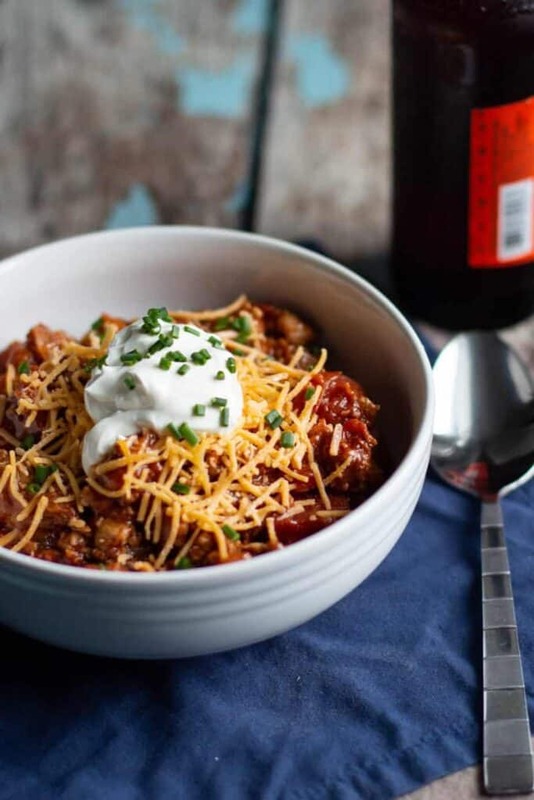 This cooler, dreary weather seemed like perfect excuse to make some comforting chili. And it’s not that I didn’t have the time to attend to a meal on the stovetop, but making dinner in the slow cooker really freed up my time to catch up on TV. Sometimes you just need to be lazy. In a large skillet, cook the turkey until browned, crumbling it as you cook. Add the chopped onion, bell pepper, garlic, and spices. Stir to combine, and cook for 5-7 minutes more, or until the onions begin to soften. Put the lid on the slow cooker, and cook for 4-5 hours on low. 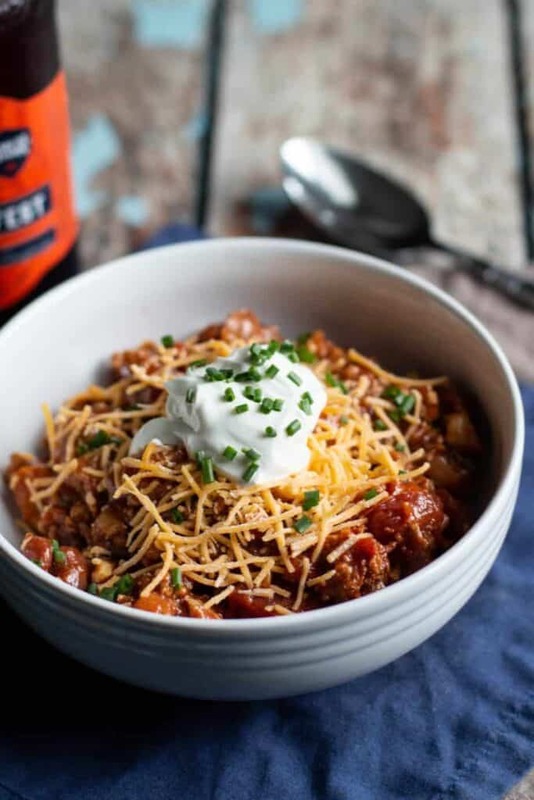 Ladle the chili into bowls and top with whatever garnishes you desire. 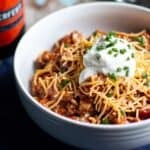 Looking for more chili recipes? 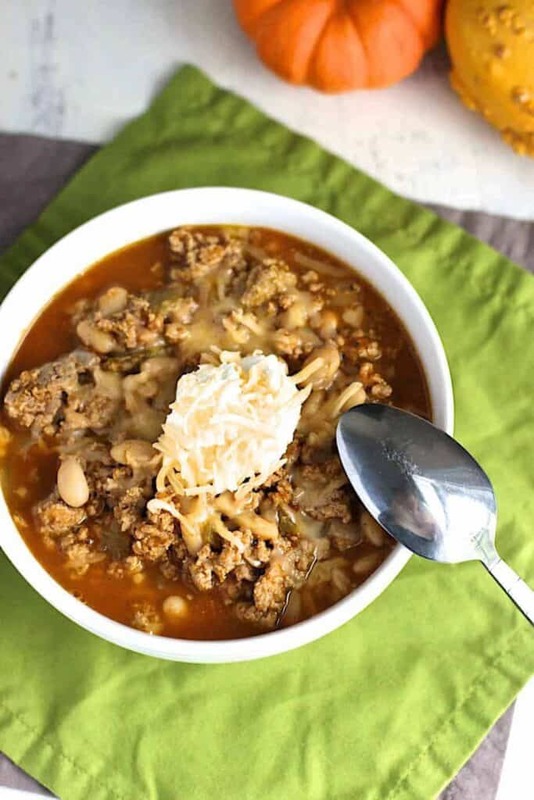 How about my Pressure Cooker Green Chicken Chili or Turkey White Bean Pumpkin Chili!